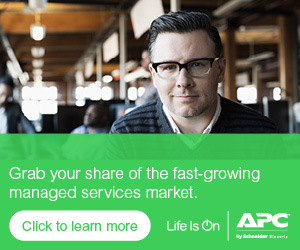 Gordon joined APC by Schneider Electric in 1995 as a customer service representative. In his current role, he is responsible for driving profitable revenue and partner enablement in collaboration with APC by Schneider Electrics distribution partners. Under Gordon’s vision, the team is focused on strategies and initiatives that expand APC’s active reseller base, frequency of purchase, and category expansion. With 18 years of channel experience, Gordon has held various inside and outside sales, marketing, and management roles. Gordon has been recognized for his high performance, creativity and leadership, and has been named to UBM Channels “100 people you may not know but should” and “Top 30 Channel Leaders in their 30’s.” Gordon resides in Stonington, Connecticut with his wife Susan and their four children. Gordon holds a Bachelor of Arts degree in Political Science & Economics from the University of Rhode Island. Show Customers How to Maximize UPS Efficiency…and Win! Is it Time to Pull the Plug on Your Customer’s Ailing UPS? Save your customers from a “zombified” workplace…protect their UPS investment!